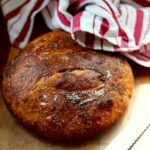 The best homemade bread recipes, in my opinion, are the ones that have either been handed down through the generations or I find scribbled in the flyleaf of one of my old cookbooks. 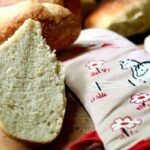 There’s always something to learn – a new technique, a new way of helping the dough rise higher, a new way to get that buttery, tender loaf everyone drools over. Here are 20 of my favorites for you to try and enjoy. 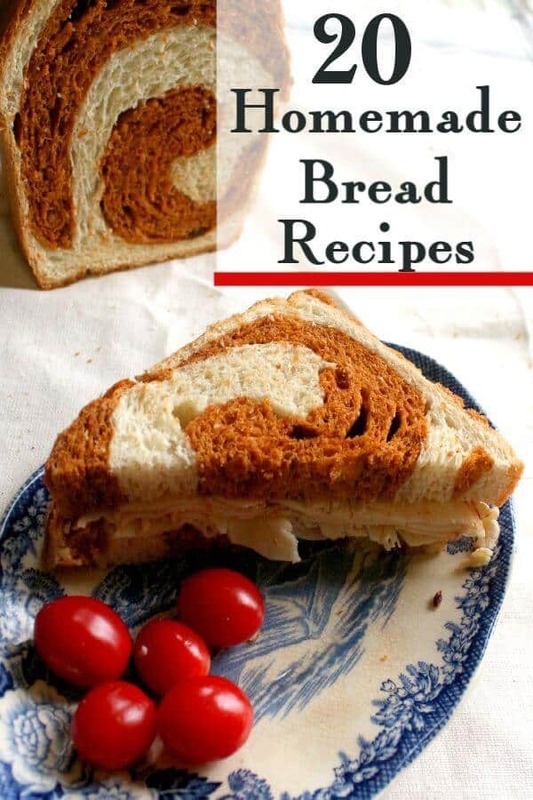 You’ll find even more recipes in the Bread Category. I have a lot of bread recipes here on Restless Chipotle but out of all of them these are my favorites. They’re the basic recipes, the ones I make most often, and the ones I trust to never fail. 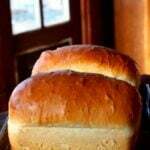 If you aren’t an experienced bread baker take a look at this great bread baking guide. It’s bound to answer your questions and give you a good start! Give them a try – I hope you love them as much as I do. White bread is easily the most popular bread in the United States, despite the rise of artisan loaves over the past 10 years or so. The best recipes result in high, billowy loaves with a soft crust and tender crumb that are never try or crumbly. This is the most basic of white bread recipes. 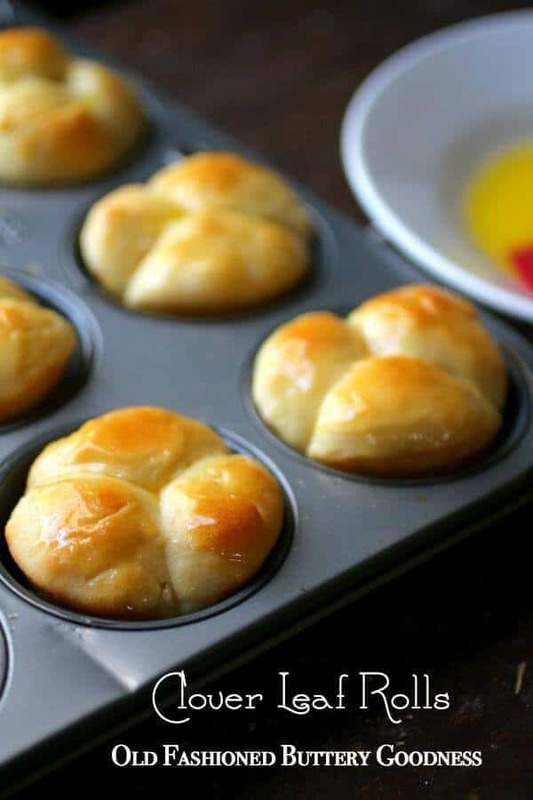 Master this and you’ll be on your way to creating all kinds of yeast breads in no time! Delicately tangy yeast bread with a soft crumb and a delicious crust. Lots of old fashioned flavor. 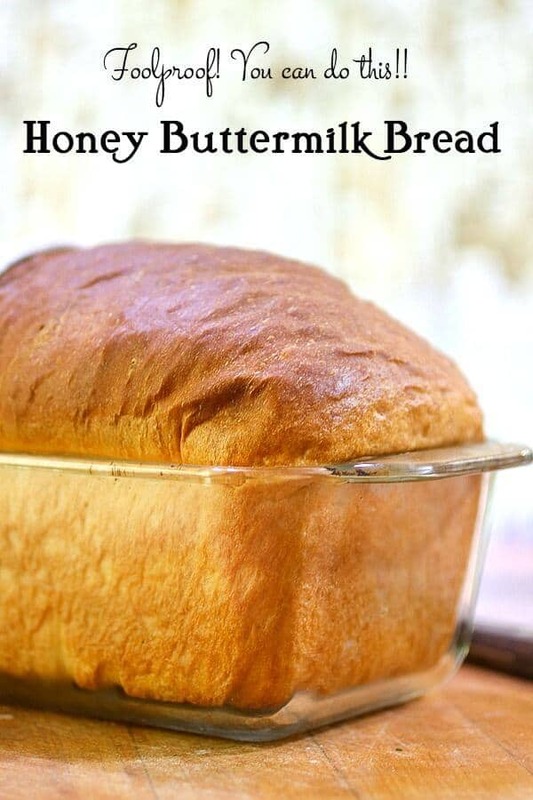 Tender buttermilk white bread with the delicate flavor of honey. The stronger the honey the better the flavor so use pure raw honey, buckwheat or other strong flavor. 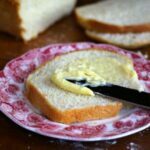 Amish white bread is an easy, tender sandwich loaf that slices easily without crumbling. Its velvety texture and sweet flavor make it a hit with the kids. 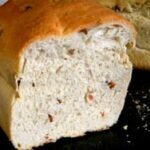 This recipe makes 2 loaves and freezes well for up to 6 months. No knead breads are sometimes called batter bread. The dough is sticky and almost a liquid. You allow it to rise in the pan you plan to bake it in. All in all it’s a simple type of bread that works great for first-time bread bakers. 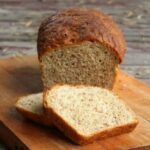 Whole Wheat Beer Bread Recipe: No Kneading! 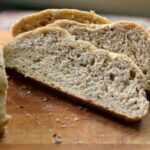 No need to worry about kneading with this easy whole wheat beer bread recipe! It’s quick, easy, and perfect with hearty soups and stews! An easy, no knead loaf with the texture and flavor of an English muffin. 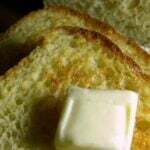 Perfect toasted and served warm with butter and honey. Classic sourdough bread has a chewy crumb and thin, crisp crust. It’s so easy to make because there is no kneading required. Whole grains have a nutty flavor and kind of a chewy texture. They can be dry and crumbly – usually because they’re not kneaded enough. Be sure to knead thoroughly whether you’re kneading with a machine or by hand. High, light, slight sweet loaves of cracked wheat bread are so good for sandwiches and toast! The mix of flours in the recipe ensures that the finished loaf won’t be tough and crumbly. 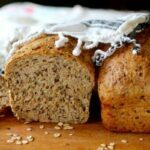 Healthy whole grain bread with plenty of Omega-3s and a slightly sweet, nutty flavor. Makes incredible toast! 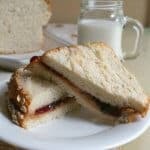 Soft, slightly sweet sandwich bread with the old fashioned goodness of oatmeal and honey. Makes great sandwiches and toast! You can also shape this dough into sandwich rolls. Nutty, wholesome oatmeal bread with old fashioned flavor – sweetened with molasses. 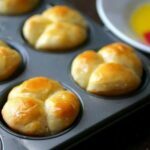 Not many people take the time to make dinner rolls anymore but it’s a great way to make any dinner special. Easy, chewy sandwich rolls with the country fresh taste of cornbread. They’re perfect for burger buns or to hold bbq. Sharp Cheddar cheese and cracked black pepper combine in these hearty rolls to take the flavor right over the top. Great with stews and thick soups! Makes 16 dinner rolls, 12 sandwich rolls, or about 8 hamburger buns. 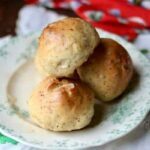 Light and buttery, these homemade dinner rolls freeze well – make them in a big batch and have them whenever you want! Special breads, those gorgeous loaves that you see in bakeries and on TV, usually aren’t that difficult to make. 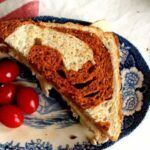 I love these specialty bread recipes to update a sandwich or make the best toast ever. Buttery loaves of bread swirled with tangy, smoky tomato dough make great sandwiches! Tender white bread with the added flavor of bacon. Perfect for sandwiches and toast. An authentic, chewy Jewish rye bread with caraway seed that is the perfect base for those midnight pastrami sandwiches – and the heartburn that goes with them. Has that slightly sourdough flavor that makes it perfect. Freezes well. 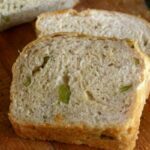 Hatch Chile Cheese bread is delicious as a sandwich bread or as toast. Smoky cheddar cheese combines with spicy Hatch chiles to bring out a magical flavor in this light, tender yeast bread recipe. 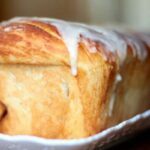 Sweet, tender cinnamon bread with a buttery vanilla glaze is just right for breakfast or as a snack anytime. Full of old fashioned goodness. What’s new? Check out my Restless Chipotle & Co. Store on Amazon! Thanks so much for being a part of Restless Chipotle! 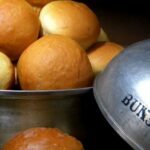 A lot of people have asked why my bread rises so high and what I use for kneading. I use my Bosch Universal Plus Kitchen Machine for breadmaking. If you plan to do a lot of bread baking invest in a Bosch!